Parents are reminded to be at Camp Rivervale before 5 p.m. this evening for pickup and a final celebration. 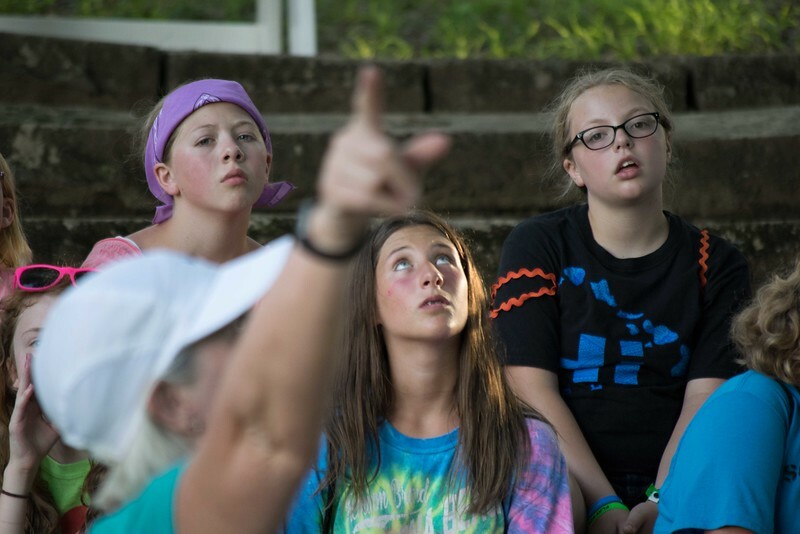 The celebration will include concessions such as cookies and lemonade, as well as a presentation of the final video that depicts all the fun campers had this week. 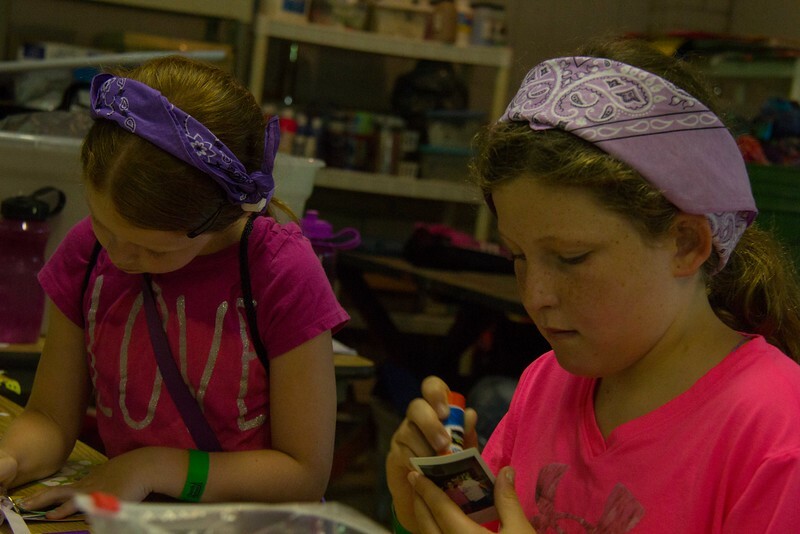 Campers spent the morning making there last camp craft with wooden boards, cloth and glue. The end result was a wall hanging that will be sent home with your camper this evening! Traditionally, campers at Rivervale enjoy a self-cooked meal over an open fire on their last night at camp. Under close supervision campers roasted hot dogs and marshmallows for S'mores. 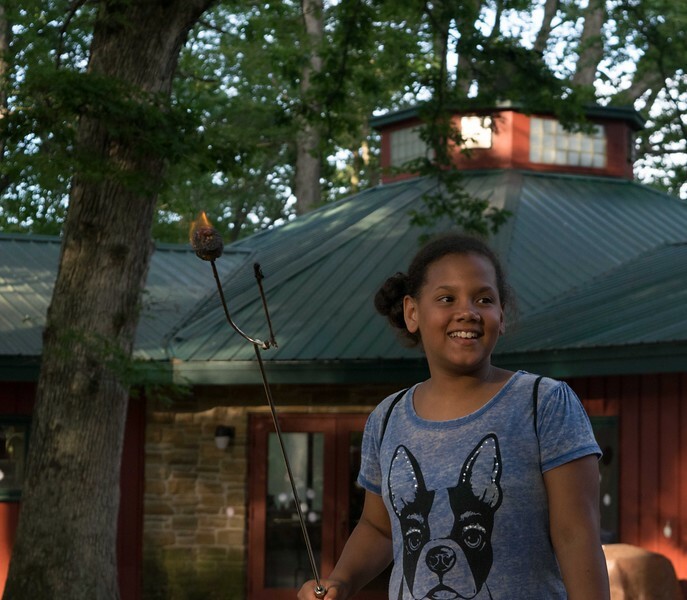 Tonight campers will return to their cabins for a final night of rest before celebration at 5 p.m. tomorrow. 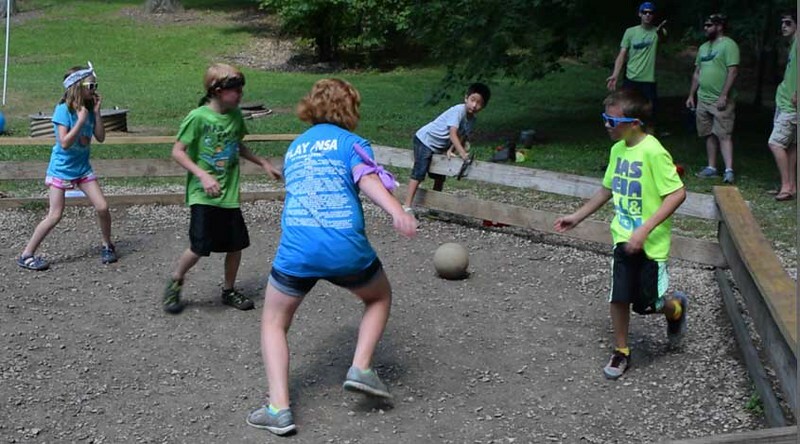 After dinner, campers played Gaga Ball and Nine Square in the Air while our staff prepared for them a special surprise. 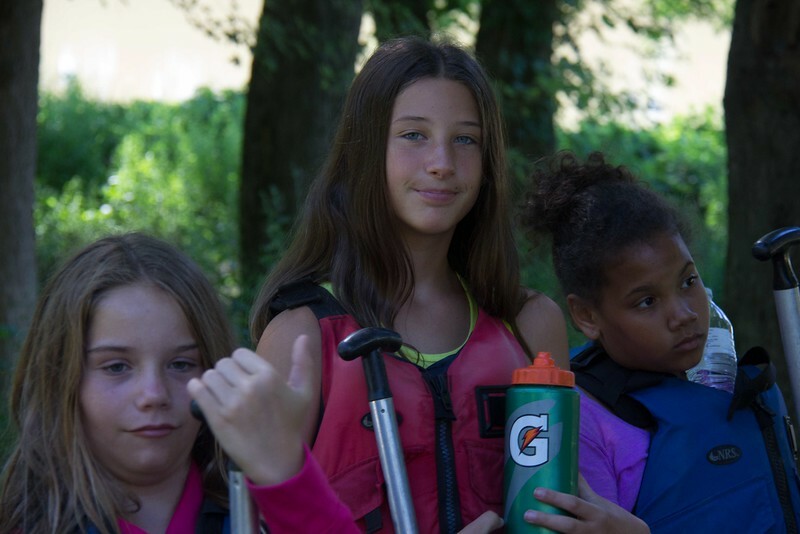 Another group of elementary campers took advantage of the beautiful week we're having here at Rivervale and got into canoes, some for their first time! At the dropoff point, campers were in the water in no time and made it back just in time for lunch. It has come to the attention of Rivervale's staff that some parents are having trouble accessing the photo gallery for this year's Drama Camp. I am pleased to report that these issues have been resolved. Please click here and log in with the password you were provided to view your child's gallery. 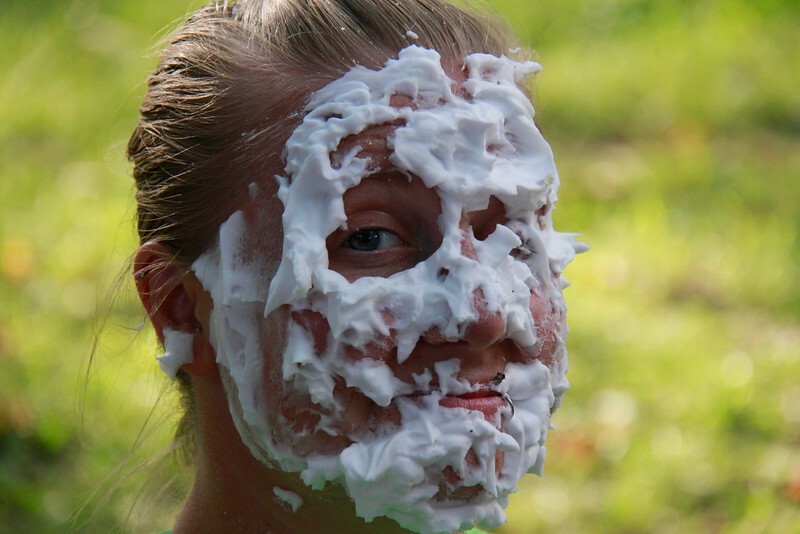 Right before the sun went down here at Camp Rivervale our elementary campers decided to show our counselors just how much they love them. . .with shaving cream and puffcorn! Watch out boys! 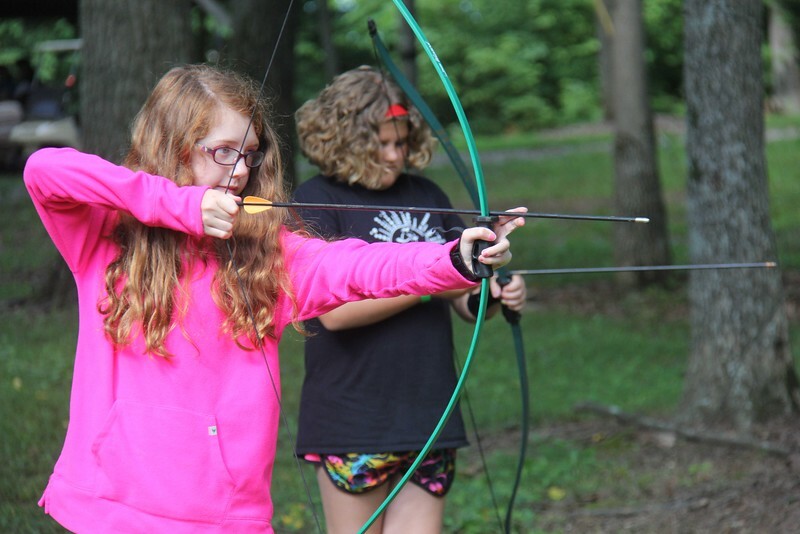 Some of our female elementary campers learned how to use bows, arrows and slingshots this afternoon. There were more than a few bullseyes! 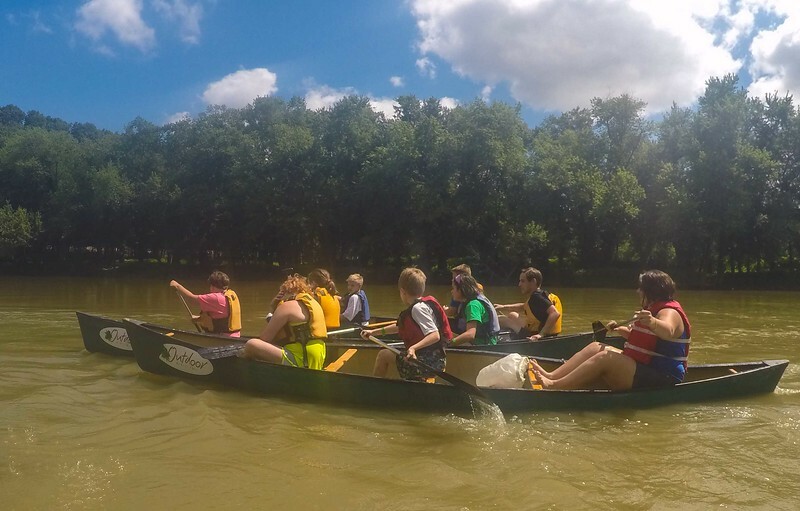 Campers took on the White River, Camp Rivervale's namesake, in canoes this morning. The weather was cool and the current was slow, the perfect conditions for a sightseeing trip of our beautiful Indiana forests. After dinner, the elementary campers gathered around the campfire and sung songs like "Father Abraham" and "I am a C-H-R-I-S-T-I-A-N". 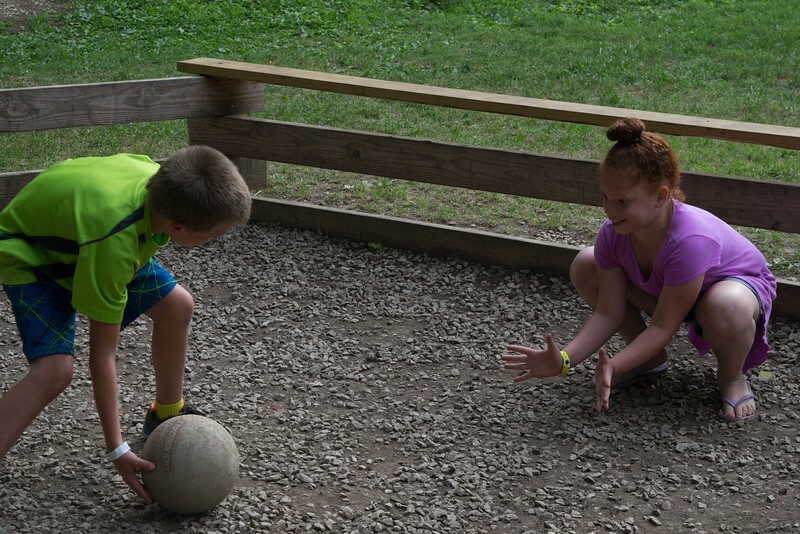 Some fearless campers even found new friends in the form of a frog and a centipede. 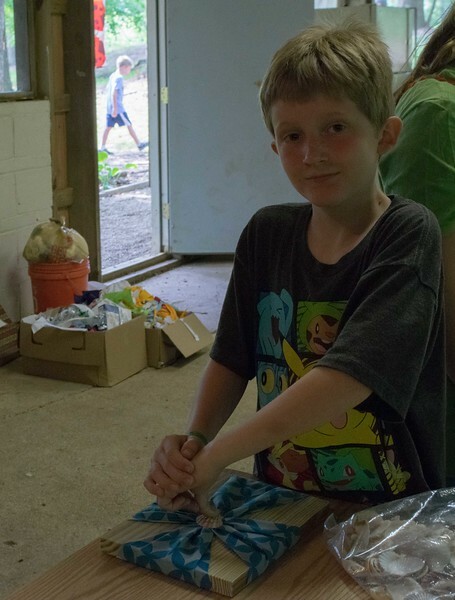 During one rotation, campers visited our Standiford Resource Center to participate in some counselor-led crafts. Many children made name tags personalized with photos and creative designs. When there was some time left over in the rotation, campers rendezvoused outside for a quick game of Simon Says. 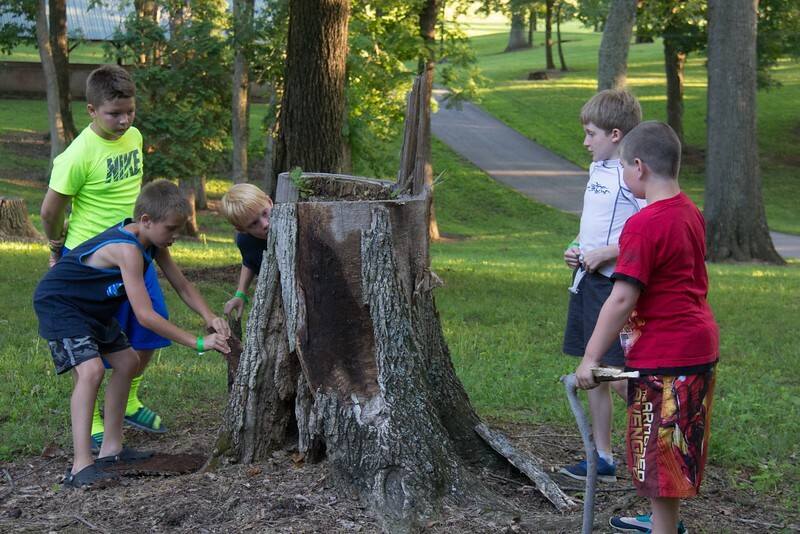 From the rock wall to the Tabernacle and even old Oak Tree Shrine, campers scattered across the grounds looking for clues to the final treasure: a lesson about the purity of the Lord from leader Peggy. 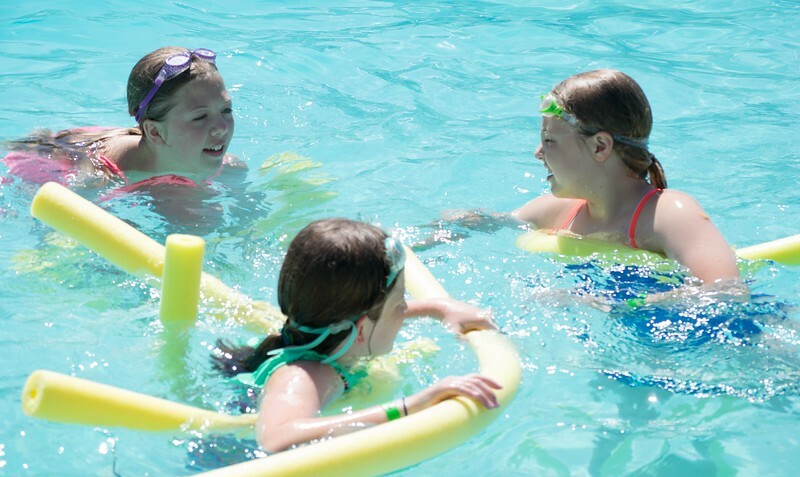 After a long adventure in the hot sun, elementary campers reunited with the younger half of the group to take a refreshing dip in the pool. 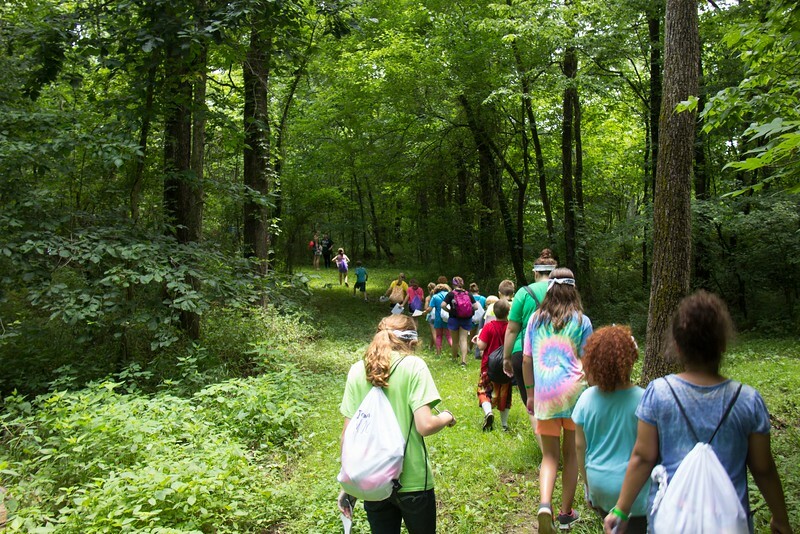 After lunch, campers explored every nook and cranny of Camp Rivervale on a nature walk. Jessica, our nature guide for the week, led the campers down some of Rivervale's most beautiful trails. 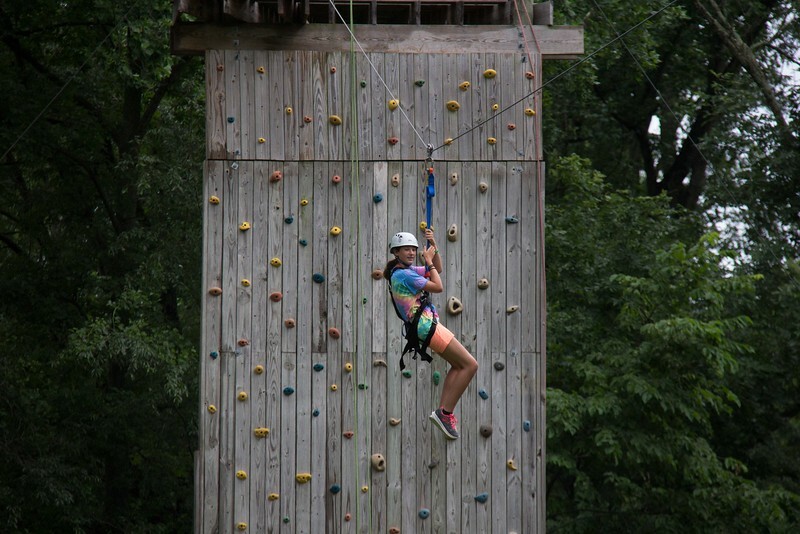 Several of our campers were able to try their luck on Rivervale's rock wall this morning. It was many of the little one's first time so high off of the ground! Never fear, though, they are all secured with special harnesses. Campers were ecstatic to receive their colored bands Sunday evening. 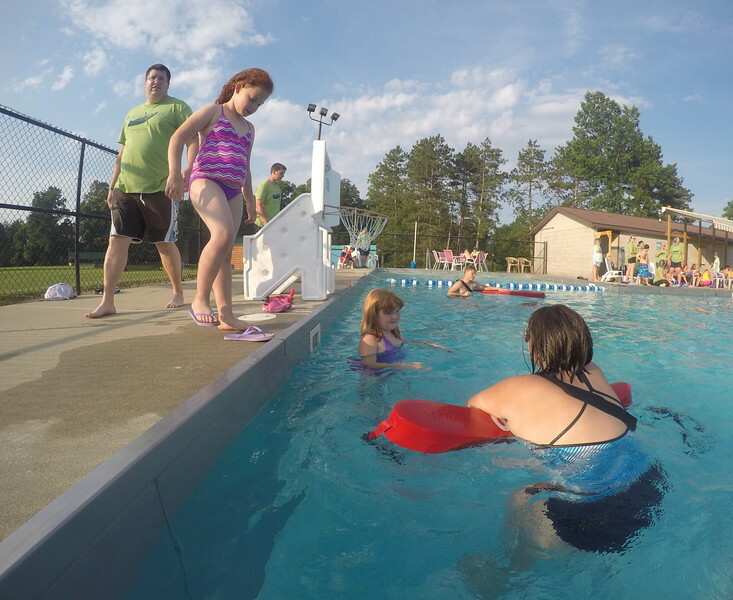 These band grant campers access to the different sections of our pool all week long! Parents checked their children in with our counselors around 3 'o'clock this afternoon. The process went off without a hitch, with campers moving quickly through medical and luggage checks and straight onto the grounds to participate in some camp activities! 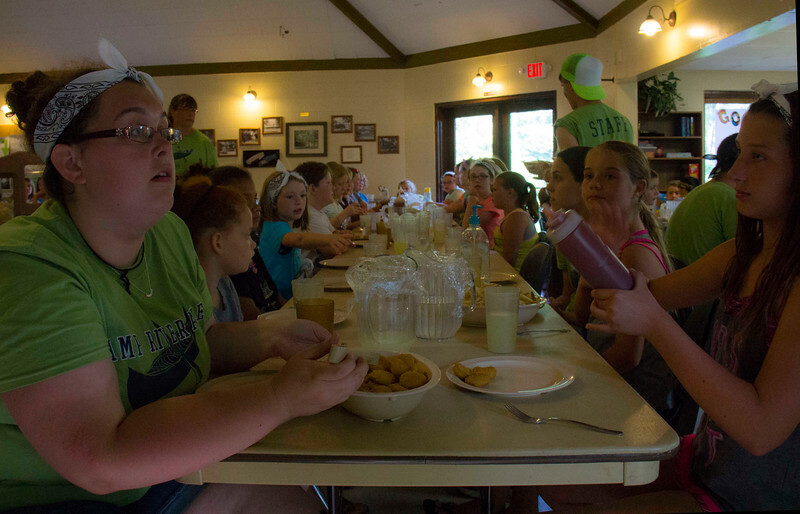 After playing outside, campers refueled with chicken nuggets, corn and french fries. There are no carbonated drinks here at Camp Rivervale, but campers can enjoy a glass of our freshly-made tea or lemonade. For information on each day's meals, keep an eye out for the menu section on future posts!